A couple weeks ago, a friend and I embarked on a road trip from Chicago to Washington, D.C. We spent 11 hours driving through varied terrain—across the flat roads of the Midwest, through Indiana construction zones and through the mountains of western Pennsylvania. After a while, I found myself observing and commenting on many of the storm water and erosion control measures I spotted along the way, much to the exasperation of my travel companion. These notices serve a host of purposes, from keeping the public informed to keeping municipal departments accountable. They rely on the fact that citizens care about their water quality and are willing to report anything that seems amiss. 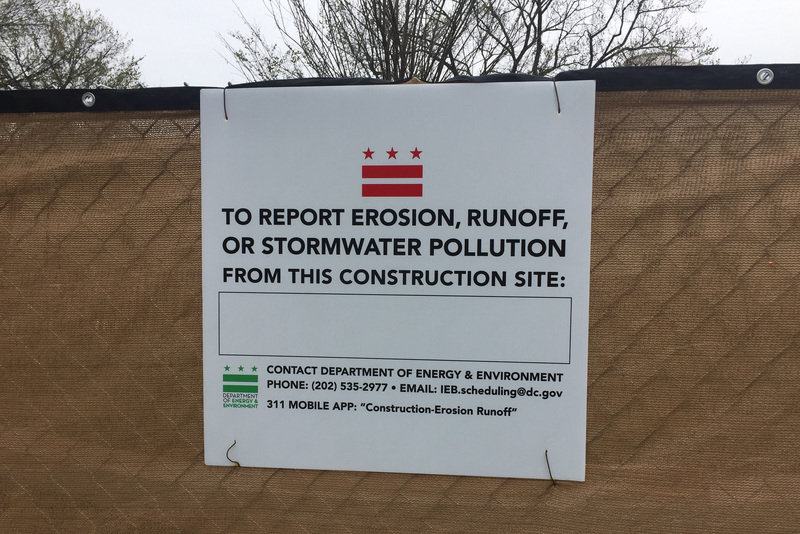 Washington, D.C., in particular has implemented initiatives to keep citizens aware of the risks of polluted storm water runoff and the importance of watershed protection. Through the RiverSmart program, the district offers guidelines and incentives for green infrastructure practices in projects citizens can implement at their homes and businesses. Although I spend my days reading, writing and thinking about water, I’m a journalist by trade—for all intents and purposes, an average citizen. I often wonder if I would recognize erosion from a construction site or even care about when a catch basin was last inspected if it weren't for my job. In a city like Washington, D.C., where pollution prevention is not only encouraged, but also rewarded, the public may be more able to recognize a problem and more likely to do something about it. How does your organization get the public involved in pollution prevention? Has a citizen ever reported a violation on a project you were involved with? Let us know in the comments or at [email protected].